nMedia 5.25in All-in-1 Internal SDXC Card Reader, w/ USB2.0, USB3.0 and HD Audio Ports, Model: i18-C28. Internal design fitting into 5.25" drive bay to save the desktop space. 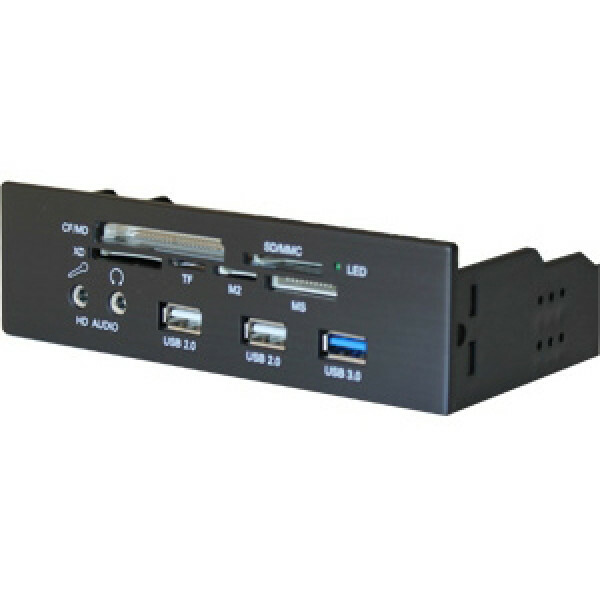 Front All-in-1 USB 2.0 card reader connects via one 10-pins USB header (require one USB 2.0 onboard header); Transfer rate of Hi-Speed USB 2.0 interface.